The trip was a resounding success with Cadets Gavin Flanagan (Centreville, VA), Donald Cravins (Washington, DC) and Tyler Stiles (Williamsburg, VA) earning their Canoeing Merit Badge on Saturday. In addition, Cadets Hunter Wren-Russ (Calabassas, CA), Cody Chapple (Grottoes, VA), Cravins and Stiles earned their Kayaking merit badges on Sunday. Avery Romp (Westford, VT), in his first XC race, paced the Caissons with a time of 20:04 followed closely by Doug Marsh (Middlebrook, VA – 20:35) and Evan LaQuaglia (Upper Marlboro, MD – 20:46). Marsh shaved 48 seconds off his time from last Saturday and La Quaglia shaved an amazing 2:47 seconds as well as achieving a career. Caisson runners made big improvements in team average and personal times while adding 2 more local high schools to their vanquished list. Cadets Samuel Saltzman (Leonardtown, MD), Torian Irons (Alexandria, VA), and Alex Sponeman (Fishers, IN) have worked together to create the first rocket for the Team America Rocketry Challenge (TARC) 2016 contest. This will be the third consecutive year that Fishburne is involved with TARC, which is the world’s largest student rocket contest. The Cassions came out ready to play Friday evening down in Farmville, VA against the Fuqua Falcons. 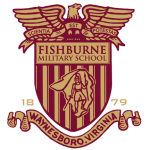 The Fishburne Military School Alumni Association has announced that there will be a BBQ Social for all Alumni in the Potomac, Maryland area on October 24th. Vinny and Sara Roa, FMS Class of 2005, will be hosting the event. Click on flyer for details and RSVP information. Two Fishburne Military School Cadets enjoyed a unique opportunity to combine adventure and service last Summer. juniors Raymond Dua, Jr. and Hunter Wren-Russ both completed 22-week overseas programs designed to expand their worldview and provide opportunities to participate in real-world service projects. The FMS Key Clubbers, stocked with water, Gatorade, sliced fruit, peanut butter sandwiches and other high-energy snacks, the Caissons did their part to keep up the riders’ spirits and energy levels during this year’s Tour de Valley. A portion of the proceeds from Tour de Valley 2015 will go to the Michael Woodard Memorial Scholarship Fund. Last year TDV donated $1000 to the fund. The school year is in full swing now and Fishburne Military School’s LET II Cadets are back in the business of helping folks in the community to, literally, see the world in a better light. First Sergeant James Hensley USA(Ret) and his LET II students are reaching out to the FMS Family to help them make 2015 the most successful year yet. It took 53 minutes, but once senior Babcour Sallah-Mohammed (Namibia) finally found the back of the net on an assist from fellow senior Adrian Sullivan, the flood gates opened and the Caissons scored five more goals; while only allowing one, in the final 27 minutes to take a 6-1 win over Hargrave.